To provide the highest quality of care to our patients. To detect and treat the underlying cause of illness, not just the symptoms. To customize and modify every treatment according to your particular energetic disharmonies. To provide the relaxed and peaceful experience with every treatment. 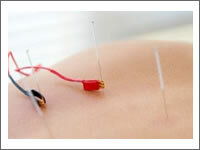 Acupuncture is the most often practiced component of traditional oriental medicine. It has been used about 3,500 years ago in some Asian countries, and only in the last four decades has it become popular in the West. 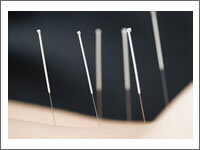 Acupuncture involves the insertion of very thin disposal needles through the patient’s skin at specific points on the body – acupuncture is the safe, effective and drug-free therapies that can help the healing process of a wide variety of common ailments and problems when performed by a well-trained acupuncturist. The acupuncture is based on the concept that living beings have a vital energy, called “qi” that circulates through 14 invisible energy lines known as meridians on the body. Each meridian is associated with a different organ system. Along the pathway of each meridian lies numerous energetic acupoints, each acupoint has a unique energetic function, and it is believed that by stimulating these acupoints can help healing many health disorders, restoring the homeostasis of a living body, and preventing the disorders of body and mind. 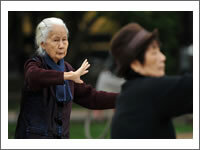 Acupressure is alternative method similar in principle to acupuncture. In treatment the precise physical pressure is applied to the same specific points as in acupuncture by using either fingers and/or the special tools to activate “Qi” along the meridians in order to promote, heal and bring back the proper function of body. This method is very suitable for the children and to the person who does not like needles. Along with the above treatments, we believe that practicing the proper exercise can promote the healing process of our body and prevent various illness, Viet Chi Inner Exercise is the dynamic method of exercise that focus on promoting the personal self-healing process of both body and mind. Therefore along with the treatment, we also teach and encourage our patients to practice certain specific Viet Chi Inner Exercise movements that are beneficial to our patient’s individual condition.